The band's third studio album is a bold statement that reflects the the revitalized line up's raging ambition! Recorded by Hani Taqi the album captures Motör Militia firing on all cylinders tearing through eight ferocious all new original Thrash Metal anthems! The album is out on iTunes, CDbaby, Bandcamp, Amazon, Spotify, Deezer and wherever digital music is available! "World In Flames is a razor-sharp thrash album that can be recommended to any fan of the genre without reservation." "A skull crushing release from start to end. The only respite comes in the form of some tasty guitar solos. Easily one of the best extreme metal releases from the Middle East this year." “thrash metal that is firing on ALL cylinders! World In Flames does have a WOW affect & ability to draw the listener in." 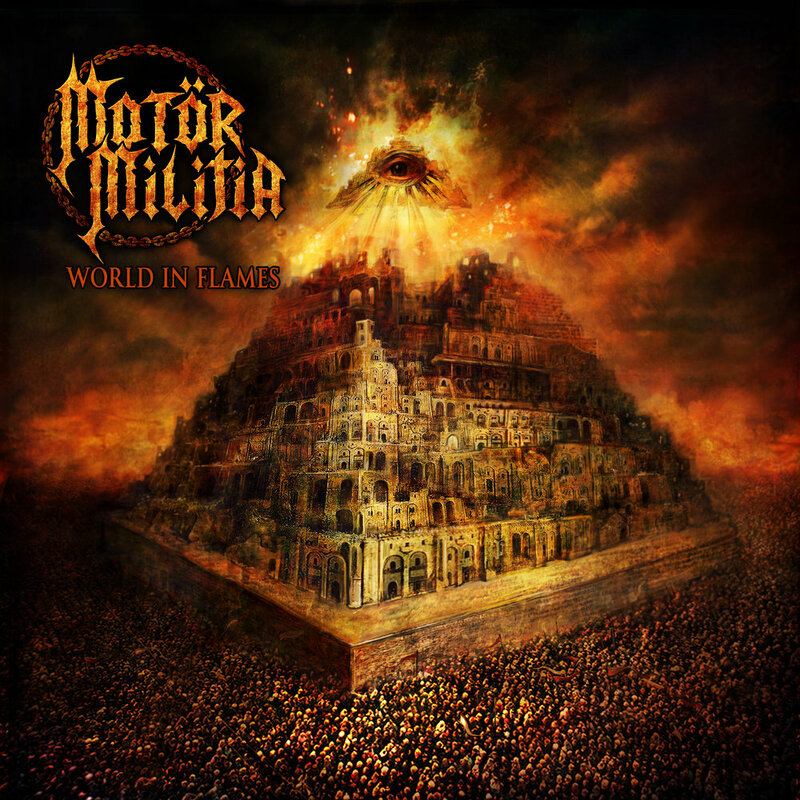 “Motör Militia shows how EXCELLENT albums exist in the world of the Metal Underground, in regions that you would not expect there would be such an incredible band." “This band performs on all cylinders, fast and furious Thrash at its best. the quality of the album is outstanding." “YOU DON'T HAVE TO BE A BRAIN SURGEON TO GET WHAT THIS IS ALL ABOUT. EVERYTHING ABOUT THIS ONE SCREAMS THRASH METAL." “from start to finish there is the unrelenting surge of power coursing through each and every song. it's an album worthy of international recognition."